Court to hear kidnap kingpin Evan’s case against the police on July 13 – Royal Times of Nigeria. 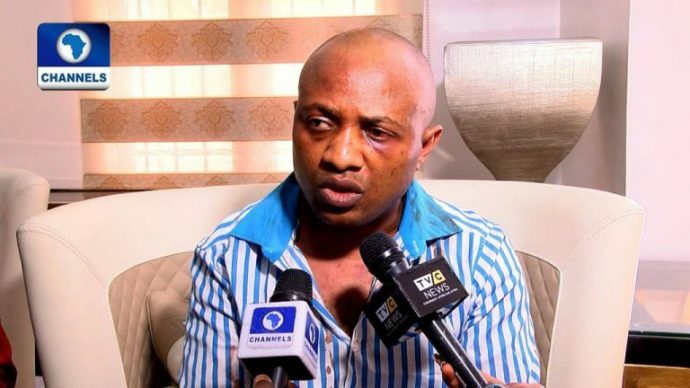 The Federal High Court in Lagos will hear a N300m fundamental rights enforcement suit filed by suspected kidnap kingpin, Chukwudumeme Onwuamadike a.k.a. Evans, against the Inspector-General of Police on July 13. Evan’s lawyer, Olukoya Ogungbeje had filed a suit urging the court to order the police to charge the suspect to court or release him immediately. He prayed the court to award N300m against the police for alleged unlawful detention. It was learnt that the case was first assigned to Justice Babs Kuewumi but later re-assigned. A source privy with information on the case said, “The case was assigned to Justice Kuewumi. But due to its nature, the judge felt it would be better handled by a vacation judge. “He felt it would not be ideal to adjourn it for hearing until after the long vacation in September.